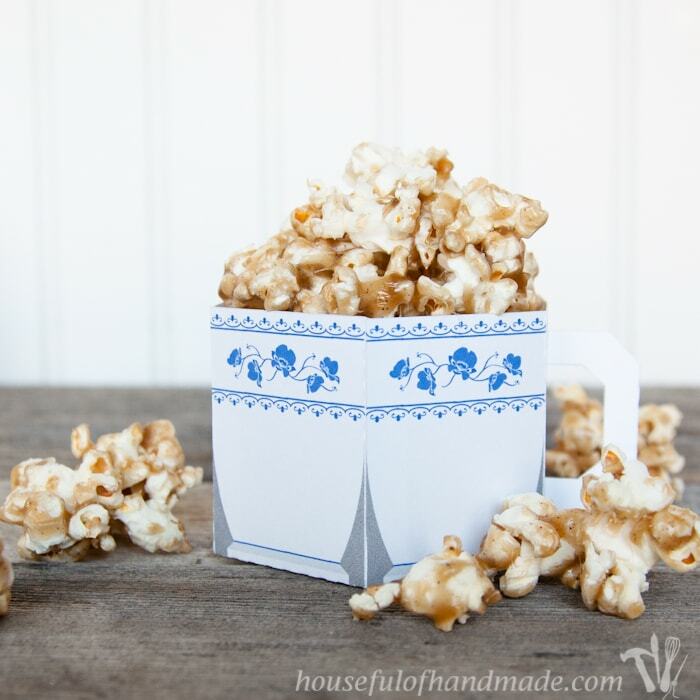 I am still having so much fun creating popcorn recipes. I love the lightness of the Lemon Rosemary popcorn from earlier, and the spicy of the Chipotle Lime Popcorn, but I am back to our most favorite popcorn treat today… caramel! One of our favorite ways to quickly add a little pizzaz to our caramel popcorn is with a teaspoon of ground cinnamon, however sometimes I like to go big and so I get creative with my spices. This Chai Spiced Caramel Popcorn is a result of that. I filled our favorite caramel recipe with all the spices that make a chai tea so heavenly. Chai tea always seemed like such an indulgent treat to me. It is the sweetness and complex spices that make it feel so fancy. When I looked into making chai at home, I realized I already had most of the spices I needed in my spice rack. The only thing I was not using on a regular basis and needed to buy was ground cardamom. But cardamom is rising in popularity and I have had no issues finding lots of other ways to use it. 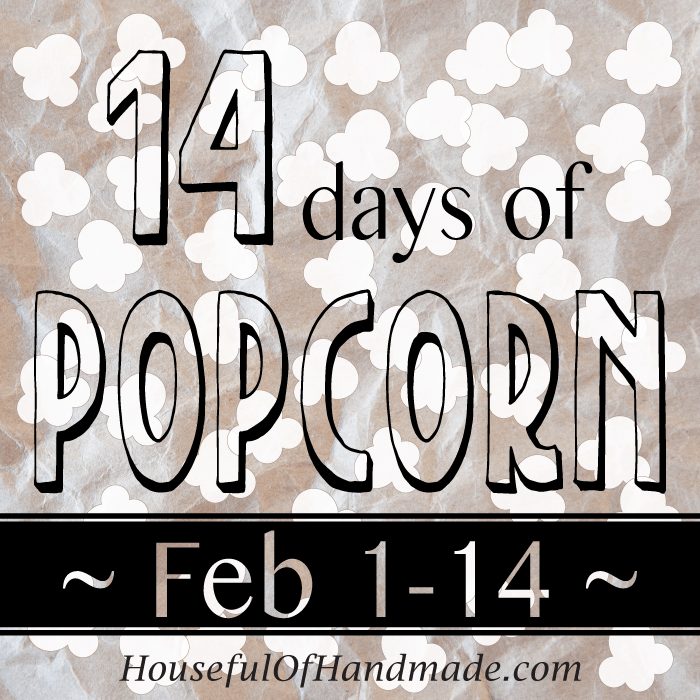 Even though I have been having a blast creating recipes for the 14 Days of Popcorn series, I have been itching to create something else. So when I thought of how cute this popcorn would be packaged for a treat for a friend, I jumped at the opportunity to make it really special. 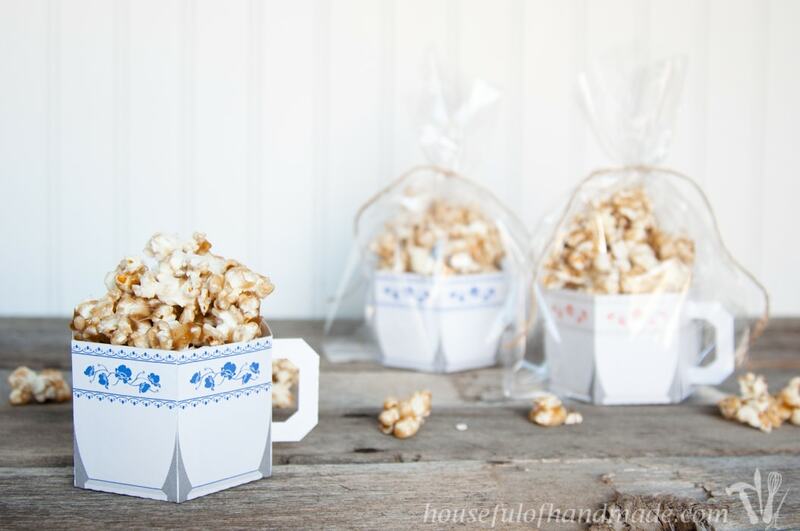 I created these adorable paper tea cups to hold the Chai Spiced Caramel Popcorn! Then you can easily slip the tea cup into a treat bag and tie it off with some twine. What better way to say “Thanks” for being my friend? To put together your free printable paper tea cups, you will either need to print the PDF on white cardstock and cut along the outside solid line or use the Silhouette cut film and print/cut it with your Silhouette Machine. Once it’s cut out, it’s as easy as folding on the dotted lines! I folded the handle in half and glued it so it stayed strong. Then fold the flaps on each side of the walls of the tea cup. 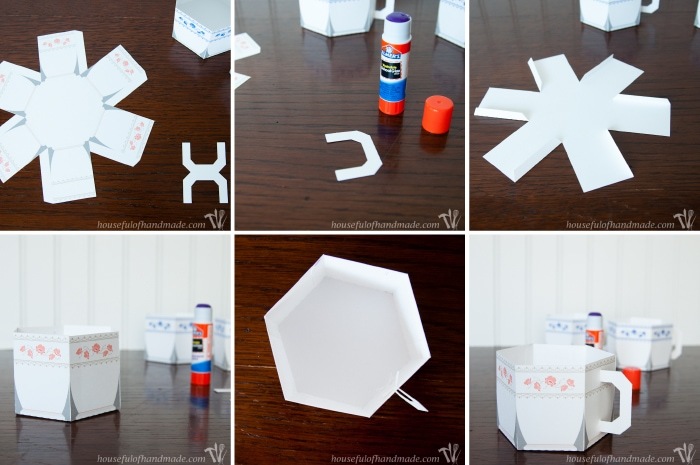 Fold the walls up and start glueing it around into a circle. Insert the handle into the slits in side of the tea cup and open the flaps. Use a piece of tape to secure the flaps flat against the side of the cup not he inside and you are all done! 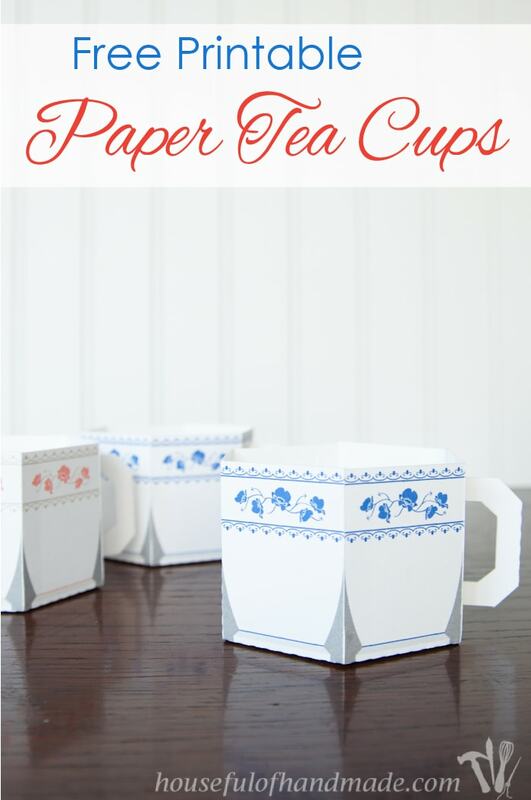 To download your own paper tea cups, click on the links below. 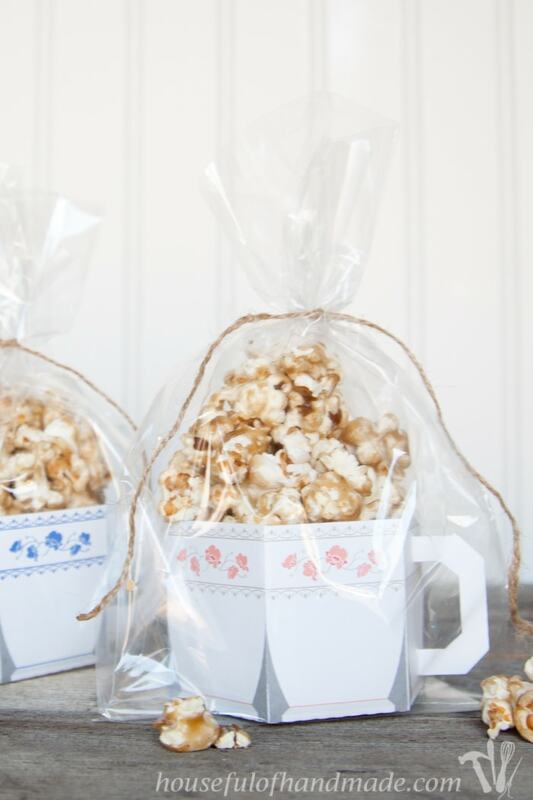 Now that you have an adorable paper tea cup, you can use it to serve you Chai Spiced Caramel Popcorn or to package it up so cute for gifting! Now you can whip up your batch of popcorn. It is so easy, and only takes 10 minutes. Then to package up the popcorn, I piled it high in each tea cup. It sticks together so I just mounded it up! Then slipped the whole thing inside a treat bag. I tied the top closed with some twine and it was ready to go. 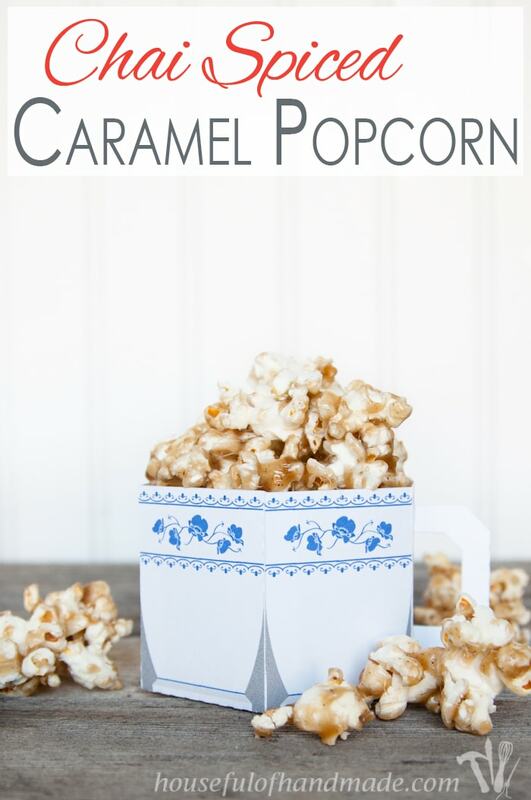 I love Chai tea so why not enjoy it in your caramel popcorn? 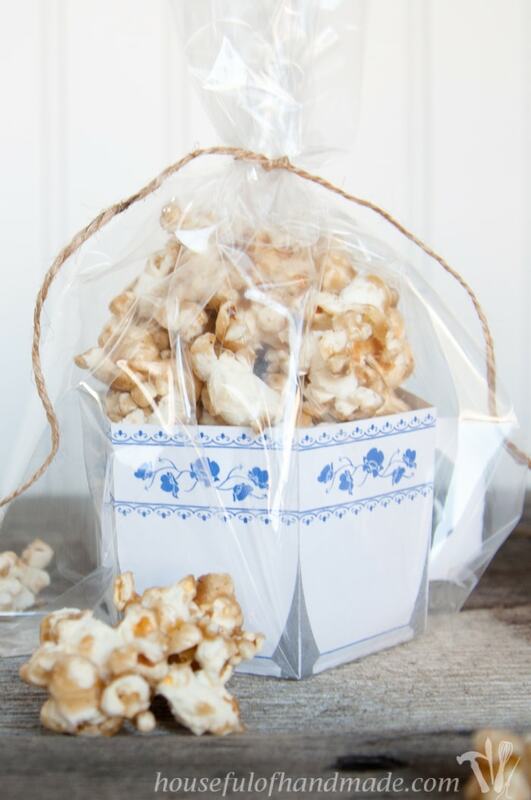 This Chai Spiced Caramel Popcorn is perfect for girl's night in! 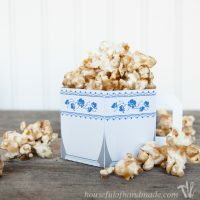 Includes free printable paper tea cups for serving you popcorn! In a small saucepan over medium-high heat, combine butter, brown sugar, corn syrup and spices. Bring to a boil and boil for 3 minutes. Pour hot caramel over popped corn. Stir until all popcorn is evenly coated and caramel cools. Serve in paper tea cups. For more popcorn fun, check out the all our other popcorn treats!